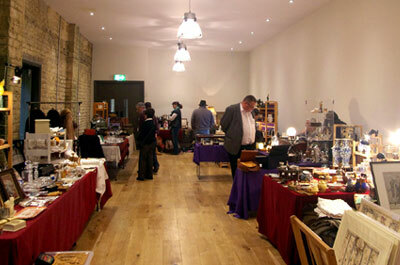 The weekly Antiques & Collectables Market is staged in Cirencester’s historic Corn Hall. The Hall has played a key role in the life of the town for over 150 years, and following completion of recent refurbishment work, looks set to maintain that position for many years to come. It is a large space, light and airy, and capable of accommodating between 40 and 50 dealers, many with double-sized pitches. Generous gangways between the tables ensure plenty of room for visitors to browse in comfort, and access for wheelchairs and mobility scooters is straightforward. 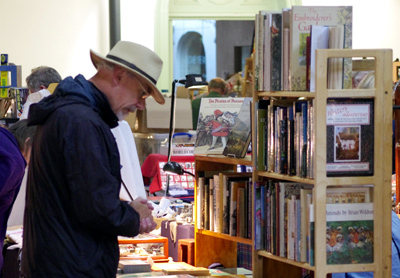 In addition to the main Hall, the Antiques & Collectables Market also has access to newly refurbished rooms alongside providing space for a further dozen or so trading pitches. This space also features a café serving refreshments and snacks. New toilets are situated in the basement, and are accessible both by stairs and a lift. Town centre parking is within easy walking distance of the Corn Hall (see Travel) and there are attractive shops, restaurants and cafés nearby, as well as all the usual amenities. A plan of the Corn Hall, showing the placement of dealers tables for the Antiques & Collectables Market, will be added here shortly. The Corn Hall in Cirencester dates from the middle of the 19th century, and its construction marked a turning point in the town’s history. 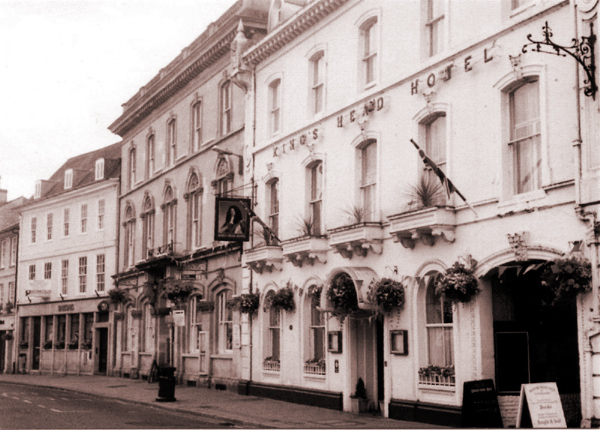 For centuries Cirencester’s fame and fortune had been based upon the wool trade. Cotswold farmers had developed a hardy stock of sheep that produced some of the finest wool to be found anywhere in the world, and the town of Cirencester thrived as the commercial centre for the trade. Much of the fabulous medieval architecture that makes Cirencester such a gloriously beautiful town today was built upon the wealth generated by wool. 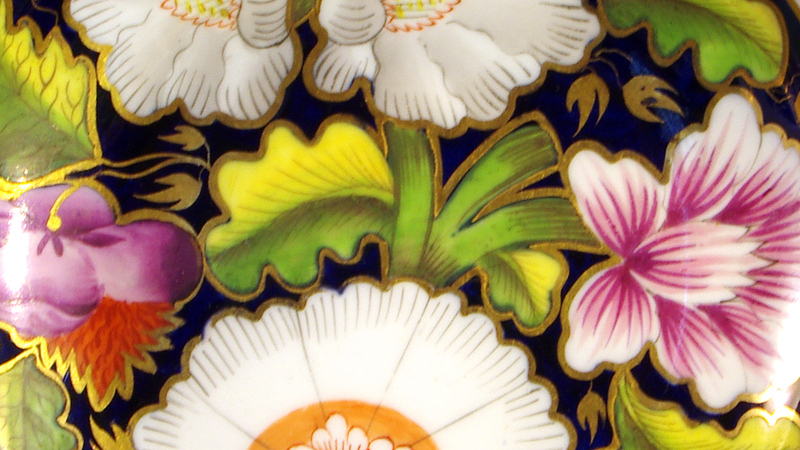 That all changed with the industrial revolution and the rise in popularity of cotton. Cloth manufacture became centred upon Lancashire and the Pennine mill towns, and Cirencester’s prosperity declined. Facing the challenge, the area’s farmers turned to a broader mix of arable alongside their traditional livestock. The central Market Place was regenerated, and alongside this a new building was proposed that would become the focus for the new agricultural diversity. 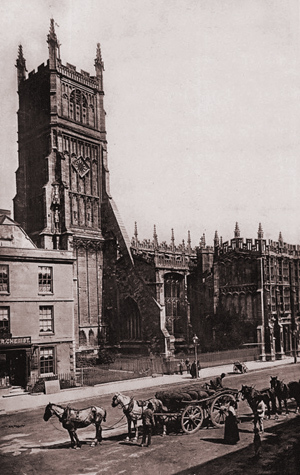 The Cirencester Corn Hall Company was founded in 1861 and negotiated to rent a plot of land at the heart of the town from Henry George Earl Bathurst for a sum of £45 per annum for a term of 500 years. The only stipulation was that the building must never be used for “political purposes”! A well-established firm of architects, Medland, Mabey and Medland, were commissioned to design the new Hall, and construction began in 1862. A fine three-storey Italianate frontage was envisaged that would overlook – and at that time, dominate – the Market Place. Tall, elegant windows, topped by arched stone mullions, were decorated with carved panels incorporating iconic symbols of the activities that would be pursued within - agricultural themes, including sheaves of corn and farming implements, were proudly displayed alongside those for music, reading and the arts. The building was surmounted by a delicate balustraded parapet, while the imposing main entrance, topped by a robust portico, lead through the “leisure complex” into the trading Hall beyond. Here a much simpler style was adopted, but a room of considerable height and size with a barrel-vaulted ceiling, cross braced in the modern industrial style, offered roomy accommodation for the pursuance of commerce and trade. The new Corn Hall was completed within a year and opened in 1863. In addition to the main hall, additional rooms included a Reading Room and Library, School of Art, business offices, and rooms for the Hall keeper. 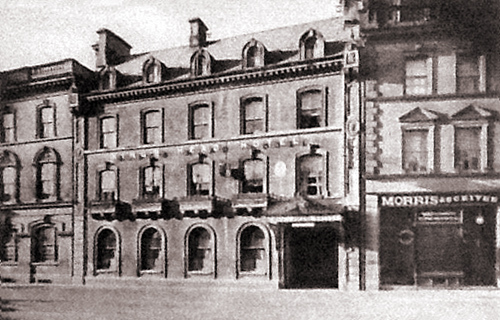 The building rapidly became a social and commercial focus for the town, and remained a popular venue for more than sixty years - not only for business, but also for the social and recreational activities of the community. Between the First and Second World Wars, however, that popularity declined, thanks in the main to the closure of the commercial market itself and the construction within the town of alternative leisure facilities, including cinemas. In 1951 the Corn Hall Association sold the site to Cirencester Urban District Council, and limited renovation work was undertaken. Several rooms were converted into additional commercial premises, and rented out to local firms as office space. The main Hall itself was leased as the Civil Defence Headquarters for the town. The rooms at the front of the Corn Hall remained in regular use for the next forty years or so, but moving further away from the main entrance dilapidation steadily set in. The Hall itself suffered from years of neglect and poor maintenance, but despite the conditions, the first Antiques & Collectables Market was staged there during the 1970s. Some of today’s traders recall those days, when setting up a stall often included the careful placement of a bucket to catch drips from the ceiling. In 2006 Cotswold District Council agreed to the sale of the Corn Hall to Wildmoor Properties, already owners of the neighbouring Kings Head Hotel. After a period of consultation, the company embarked upon an ambitious restoration programme. Work started in early 2007 and, after 18 months and at a cost of some £2 million, the rejuvenated Corn Hall re-opened to business once again in November 2008. That, however, was just the first phase. During 2013/2014 the next stage was completed, seeing the refurbishment of the Kings Head and the conversion of semi-derelict buildings adjoining the Corn Hall to create a new café area, an extension to the Hall, new toilets and, with the completion of a 1,200 sq. ft. mezzanine floor, a viewing gallery and auditorium that includes stadium-style seating for concerts and plays. Since then further development has taken place in adjacent properties to being fresh and exciting new shops to the Corn Hall area. The Corn Hall can be booked for events and functions by contacting Augusta Wreay of Wildmoor Properties.